Last week you went to the perfect spot on your favorite lake, on top of the serene views and tranquility, you also caught more fish that were twice the size. Now all you want is to go back this weekend and catch enough food to fill your freezer and your heart. If you don’t want to find yourself free floating along the lakes and streams searching for your sweet spot, pick yourself the best handheld GPS for fishing. Next time you have a golden hour of fishing lock in your coordinates, never get lost, and feel free to explore all the new spots you can find knowing that there is always a way back! That being said, there are loads of different GPS devices on the market for you to search through and find your perfect match. We’ve laid out the criteria we look for when shopping for a GPS to take out with us, so you can by the best handheld GPS for your needs. *Why not just use my phone? 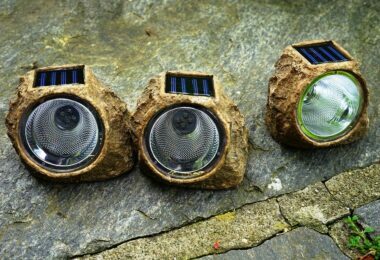 GPS devices like these are built for the wet and the seasons, in addition, they have excellent satellite reception, and if you have ever yelled at your phone for dying at 30% then you will love the better battery life. Don’t forget to power up your gadgets. Check out our article reviews of the best solar charges for all your needs. There are several different options that you can consider when looking at different handheld fishing devices displays. Color Displays The colorful icons can help make maps for readable and help you distinguish landmarks. Unless also LCD, your color display devices might actually be difficult to read in the sun. Sun Readable TFTs Reduces glare and reflection, so that you don’t have to fumble around for glasses when trying to read coordinates. Images need to be bright and bold for the best use when looking at the GPS determine if the icons are big enough. LCD Displays LCDs have better color, are brighter, and have tended to last longer with their battery life. While you are saving power and the screen is brighter, these devices tend to be a bit more expensive. A final note about picking the display and design of the GPS, is something that may seem obvious, make sure your GPS is waterproof. 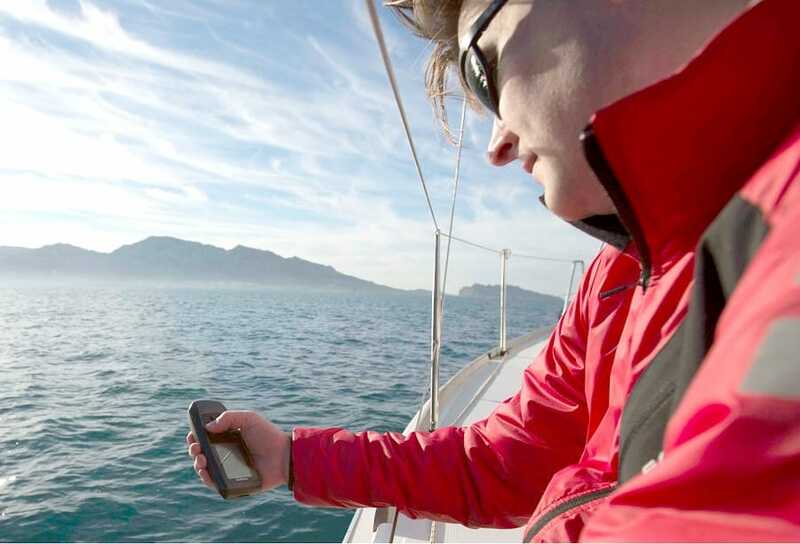 We have all fumbled around when digging for our technology or splashed water into the boat. 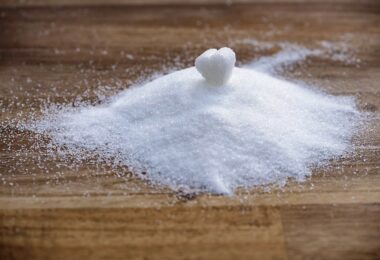 Check to make sure that your device is sealed and look for waterproof instead of water resistant. You don’t want to be standing in your gators in the lake holding your GPS up in the air waiting for your coordinates and maps to download or connect. The faster, the better. We suggest that you look for GPS devices with Wide Area Augmentation System, also known as WAAS. The goal of these systems is to improve accuracy through their air navigation. There are a few different options when it comes to how your GPS operates, the biggest distinguisher is the touchpad versus button operated systems. If you want the device to be simple and fast, then you should try the touch screen option, especially if you are doing more than just hiking up to your location. Are you kayaking? Are you boating? You want it to be simple so that you can focus on getting there and enjoying the great outdoors! Also, your GPS should have plenty of storage space for your maps, and locations, especially if you are looking to expand your fishing locations! 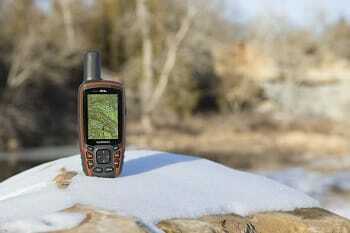 Finally, if you are looking for the best GPS and money isn’t the largest issue, then find a GPS with built-in base maps. This way you aren’t carrying additional maps and you aren’t missing regular landmarks like coastlines other water bodies. If it doesn’t have a built-in base map, then look into GPS devices that let you install mapping software that you can easily find online. Ready to go for the best fishing adventure, again and again! Then make sure to pick up a handheld GPS device that will best serve you on your fishing outing. We have reviewed a few of what we think are the best devices down below to provide you some clarity as you search through all the options. Specific Features: This handheld Garmin Legend H GPS Navigator features base maps for lakes, rivers, coastlines, and major city features. 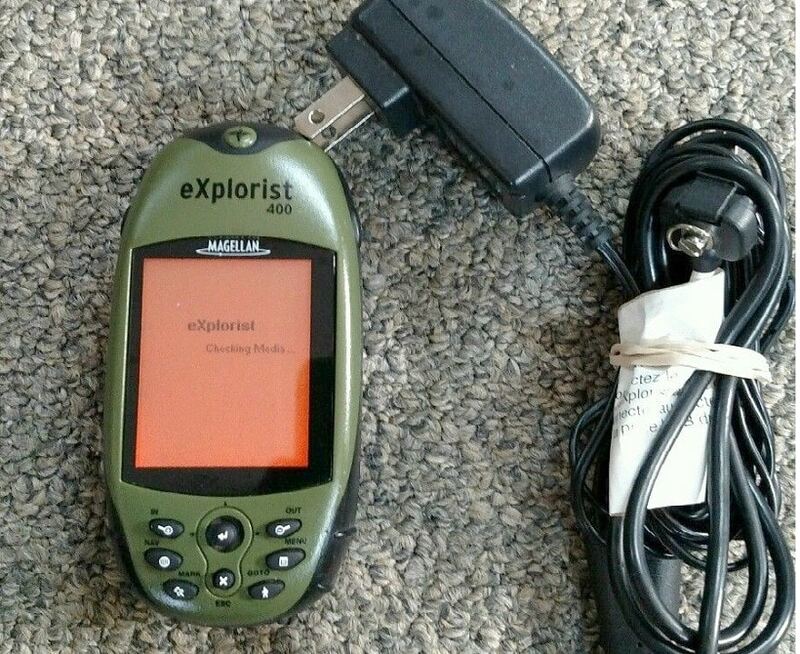 There is plenty of storage for waypoints and tracks and has an excellent waterproof case. It is backlit with an LCD display and has high contrast resolution for clear views. Description: Colorful, light, and 24 megabytes of internal memory makes the eTrex an excellent device for fishing! Instead of having a classic wrist strap enjoy a lanyard to hang around your neck as you trek, paddle, or cruise up to your favorite spot. Its accuracy gives you your location fix that is about 5 meters to the point, providing you an excellent GPS service. This little handheld device is on the better end price wise, but reviewers have noted that there is a limited lifetime. The joystick that is used to control menu flipping wears out and the battery life dwindles. If simple but effective is what you are in the market for then this device is for you, it has a good value for its price but don’t expect too much expertise. Some reviewers have also sad the display is difficult to read unless you have decent lighting. Also, the manual can be a bit difficult to understand so play around with it before you purchase! Specific Features: This beauty of a GPS will give you all the special features you could ever want when you are out fishing. Garmin Oregon 450 Handheld GPS Navigator is built in base maps, up to 2,000 custom waypoints and favorite spots, and a touch screen. Your battery life will go for 16 hours, so you can fully enjoy your color screen that is sunlight readable. Best Use: Fishing, geocaching, and hiking in new locations. Description: We are thrilled with this option for your handheld GPS because of all of its amazing features and specs that are built into the device. Enjoy both a compass and barometric altimeter sensors so that you always know where you are. Don’t worry about having to squint to see the screen or scramble for sunglasses, the sunlight readable screen has awesome worldwide base maps, and a card slot to program and save more options. What we love most about this compass is your ability to share your favorite locations wireless with other people. If your catch is so impressive all your friends want to go, you no longer have to tell them to turn right at the tree, just send them your information! Planning your next trip will be easy with this device. 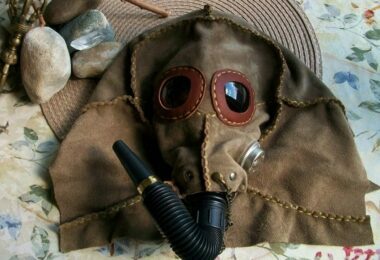 Find out from our article how to Geocache in the easiest way, check it out. Specific Features: The Garmin GPSMAP 64st is a sunlight readable color screen that has an excellent internal memory and additional microSD card slot. It has a built-in worldwide base map and highly detailed maps. It has a toggle button instead of a touchscreen, 3-axis compass, and wireless Bluetooth technology. Description: If you are wondering how this model distinguishes itself from base models, this version includes a very helpful compass and fully topographic maps. This way you can be sure you aren’t trekking up a mountain unless you truly planned it. What is great about these GPS devices that really helps new fishers exploring spots, is its ability to help guide you back to your car and reward snacks and beers! Reviewers love this device because of its map features but are not too pleased with its battery life and manual. Some of the settings are for extreme specifications, but the manual itself doesn’t necessarily cover it all. However, the screen is clear and easy to read, and the buttons allow for alternative options for touch screen navigation which can be difficult to use when fishing. 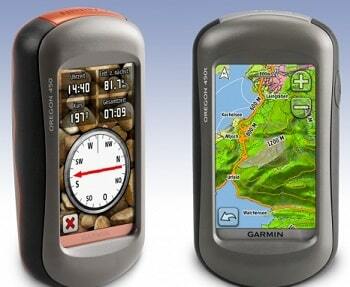 Specific Features: Garmin eTrex features the worldwide base map with a very high-sensitivity rating GPS receiver. Its battery life will last you 25 hours on average, and while the design is very simple the company advertises that it is great for a kid’s first device! Best Use: Fishing, geocaching, and hiking trails. Description: This is one of our simpler models, however, because it doesn’t have many special features it means that your battery life will last much longer. This model includes a pre-loaded 1:100,000 scale topographic map, to make your trip clearer and easier. While this map isn’t as advanced, you will enjoy the clarity of the mono-color screen and is little enough to slip into your pocket as you go on with your hike. If you are into geocaching, then this device is perfect for you, the paperless feature is an add in on this device that can provide a lot of fun! Specific Features: The rugged waterproof Garmin Oregon 650t 3-Inch Handheld GPS features rechargeable batteries, a camera and a color touchscreen for you to use. 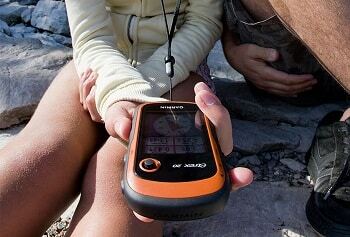 Simply click in to keep this GPS near you with it’s built in carabineer clip. The screen is sunlight-readable, has Bluetooth technology and custom maps built in that feature topographical options. Description: Find your favorite spot time and time again with this lovely GPS device, not only is it top of the line for Garmin products, but it is also well reviewed for the United States exploring. The display is not only colorful but also 3 dimensional. Using the built-in compass to navigate terrain, enjoy the accelerometer, barometric and altimeter. You can create a custom map and connect it to your phone to use other applications and send your coordinates to friends coming up to join you later. With its Dual-band GPS satellite positioning, you will always know where you are and create more detailed maps to find your way back. The few notes customers make about this GPS is that the maps downloaded in are great for the United States exploring, but out of the country are not useful. 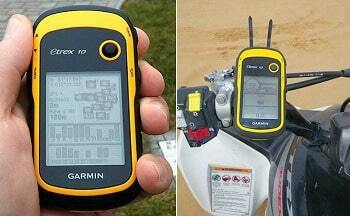 There is no live tracking on the device itself, but it does come with Bluetooth so you can hook it up to your phone. It is also very small; some reviewers say it makes it difficult to view when trekking to their favorite spots. 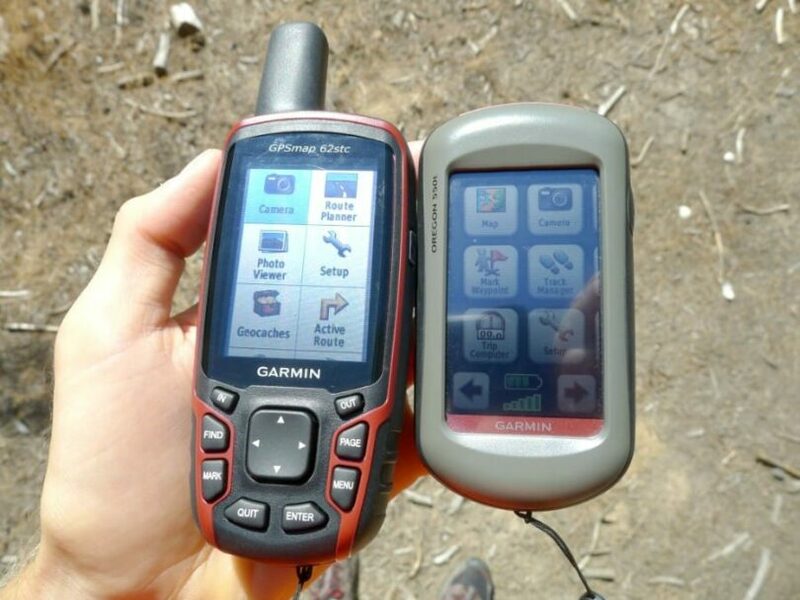 Specific Features: The screen on this Garmin GPSMAP 64 is an excellent transflective color screen that will let you see your preloaded base maps. With a dual charging system, you can rest assured that your GPS will last throughout the whole hike or fishing expedition. In the base model, you will still find the special feature of the 4 GB of internal memory. Best Use: Hiking and fishing. Description: This option will be an excellent option for the fisher who wants button controls and nice color maps that are readable even in the sun. 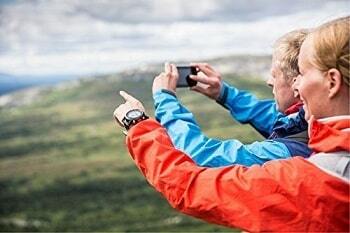 Garmin technology offers handheld devices that allow for you to take it through forests and lakes without worrying about the GPS breaking. The quad helix antenna on top will allow you to locate yourself out in the wilderness incredibly fast and with excellent preciseness. There are many Garmin models to choose from, and this one allows for the user to add personalized maps, or download topographical maps for new adventures! Owners of this GPS love this device, it is highly accurate, is fully supported with the Garman 1-year warranty and can be adaptable to many different applications and maps. 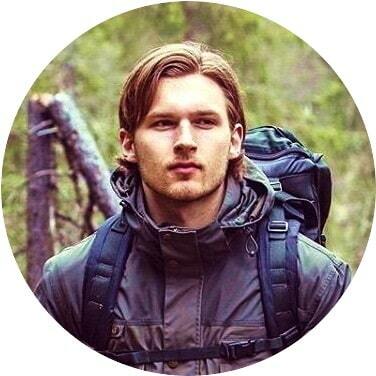 Your entire hike will be recorded, and although you need to provide a clear previous track on a new map, you can be sure that you will find your way back to civilization, even if you are in the deep woods. 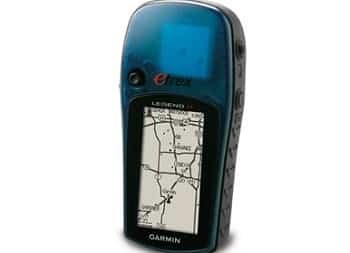 Specific Features: Garmin introduced this new GPS to expand on its base model to allow for more map space and higher resolution screens and topographical maps. 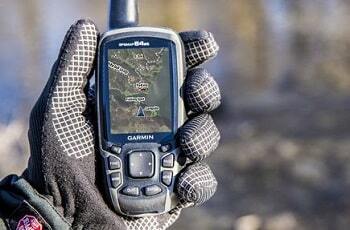 GARMIN eTrex 20X GPS is both lightweight and durable, meaning you can bring it on even your most rugged adventures. Both waterproof and durable, the GPS features a touch screen that works past its year warranty and you can enjoy the transflective full-color screen. Description: What sets this GPS apart from its earlier model is its lovely upgraded display that has a 65 K color sunlight readable display. You can also load even more maps with the internal memory card and include new models of topographical maps available. The BirdsEye Satellite Imagery, with a subscription purchased, will give you more variety in maps. Because you will be purchasing a Garmin, you can rest assured that the WAAS enabled receiver will track your position in real-time with the location maintained the whole time. The upgraded GPS tracker will give you excellent service, even if you find yourself fishing in deep forests, under heavy cover, or deep canyons. The battery life will provide you excellent coverage, with the average life of 25 hours, your fishing trips can extend past your normal few hour excursion into the wilderness. The device is incredibly compatible with a large range of maps and holds a lot more information. 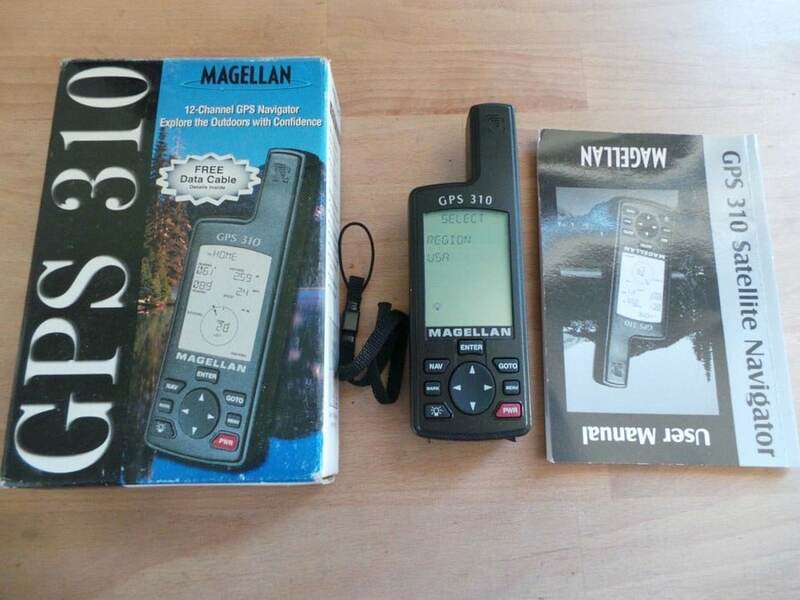 One thing that costumers did not like about this little device is the price of maps to be bought, you need an annual subscription to run the maps, though there doesn’t seem to be a lot of changes in between the maps. Ready to go back outdoors to the fantastic spot you were fishing in last week? Or you want a friend to meet up with you for a full day of backcountry fishing in a brand new spot you read online. Picking the right GPS for you will allow you to not only find your favorite spots over and over again but also feel comfortable exploring new areas. That being said, make sure you have the best fishing mobile apps for your enjoyment, check out our article on this topic. When reviewing your options keep in mind the tip of fishing trips you will be on, will it be easy to remove a glove to utilize a touch screen? Is it important to have a highly detailed topographic map? See how our top GPS apps can help you navigate your way. You do not necessarily need the most expensive GPS on the market you just need the one that works best for your trips. Have we missed the best handheld GPS on the market? Or do you have tips on how to make these devices work best for you? Let us know in the comments below!